June 16, 2014, 11:52 a.m.
Six pilot sites will serve as guinea pigs as the Local News Lab tries to locate solutions for a sustainable news ecosystem in New Jersey. By Caroline O’Donovan @ceodonovan June 16, 2014, 11:52 a.m. The grant is supported by both Knight’s journalism program and its Community Information Challenge initiative, which traditionally offers matching grants to local community organizations looking to fund media programs. In some ways, the Local News Lab is a consolidation of many efforts in the local news arena in New Jersey in recent years. CUNY’s Jeff Jarvis and Montclair University’s Debra Galant have both led efforts to encourage and support a healthy news ecosystem in the region, and Dodge has been committed to supporting community media in the region, giving a total of $2.2 million to New Jersey media organizations. Now, Knight and Dodge are teaming up to throw big support into learning how community engagement can make a local news organization sustainable. New Jersey, nestled between Philadelphia and New York City, is an interesting media market — at once proven to be fertile ground for hyperlocals, but underserved by mainstream media. “Given New Jersey’s relatively small size, we have always seen this as a statewide effort and potential model for other states, rather than focusing on one particular city or region within the state,” writes Dodge’s Molly de Aguiar in an email. 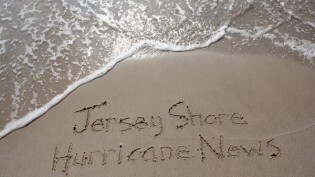 The Local News Lab is launching with six pilot sites — Jersey Shore Hurricane News, Brick City Live, The Lo-Down, Morristown Green, New Brunswick Today and Sheepshead Bites. The sites have staff sizes ranging from one to four, and each focuses on local news in their region. Stearns says the sites take a range of approaches, with some recently founded while others have been around for a decade. “We want this to be a testing ground,” says Stearns. “I think one of the core premises here is there’s not going to be a silver bullet.” The idea is to see what revenue strategies — e.g., events, membership, advertising — work for what kinds of sites, and to produce materials that can serve as guidelines for other news organizations. 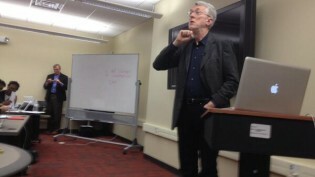 Stearns is especially interested in pulling from community engagement strategies outside of journalism — for example, he’s been looking at things like political organizing and citizen science to figure out how they can be applied to local journalism. Bracken says Knight has done research into the relationship between sustainable business practice and community engagement. “Just launching with foundation support or sponsorship — if you don’t have engaged audiences, the likelihood of longterm success and sustainability becomes much lower,” he says. Over the two-year grant period, the Local News Lab will produce regular posts about their progress, and work to connect local news entrepreneurs with national leaders in business and technological strategies for journalism. One thing Stearns says he hopes to work out soon is what kinds of resources can be shared by a news network. For example, the Investigative News Network now employs a small team that works on tech issues for all 100-plus of its members. Could that work for the local New Jersey news ecosystem? What about shared resources around ad sales, legal support, or insurance? Asks Stearns: “Do we want to create or help foster somebody who is doing a wedding planner model but for news events?” These are the questions the Lab will be working to answer. 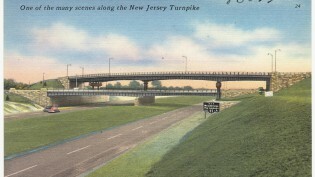 Bracken also cited the leadership of Dodge’s Chris Daggett and the unique attributes of the New Jersey media landscape as reasons for Knight’s unprecedented support of local journalism efforts there. The other grantees in Knight’s community round were the Smart Chicago Collaborative, Wisconsin’s Incourage Community Foundation and the Silicon Valley Community Foundation, none of whom were awarded more than $500,000. POSTED June 16, 2014, 11:52 a.m.
O'Donovan, Caroline. "In New Jersey, with $2 million from Knight, the Local News Lab launches to seek revenue models." Nieman Journalism Lab. Nieman Foundation for Journalism at Harvard, 16 Jun. 2014. Web. 20 Apr. 2019. O'Donovan, Caroline. "In New Jersey, with $2 million from Knight, the Local News Lab launches to seek revenue models." Nieman Journalism Lab. Last modified June 16, 2014. Accessed April 20, 2019. https://www.niemanlab.org/2014/06/in-new-jersey-with-2-million-from-knight-the-local-news-lab-launches-to-seek-revenue-models/.